You lead a guild striving to dominate the market for illegal goods in the Sprawl, a city rich in history and lawlessness. 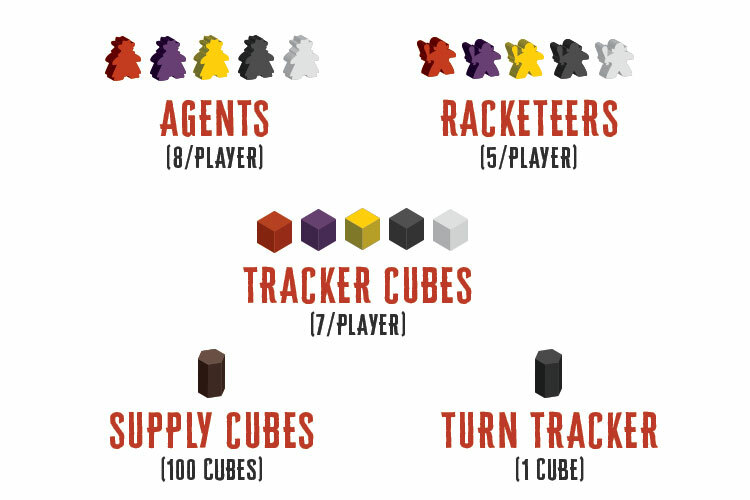 Recruit and task a mob of agents, racketeers, ringleaders, spymasters, wizards and others to build your reputation by selling your goods and causing chaos for your rivals. 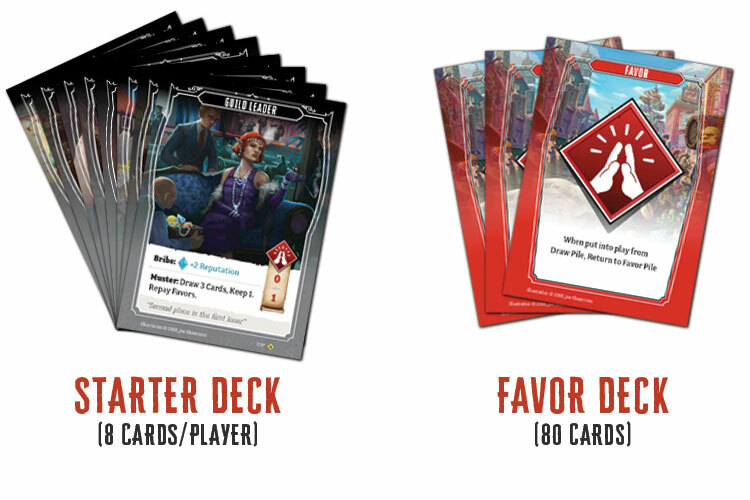 Through a light deck building mechanism, you attempt to create the strongest network of agents and the most desirable black market goods. Winners and losers are determined by a fun, yet sophisticated, supply & demand mechanic. 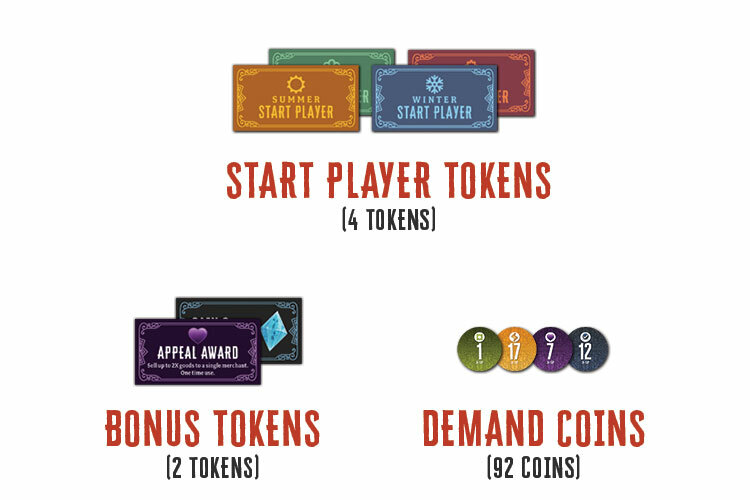 Each player will lead a guild with the power to decide where your finite resources are invested. 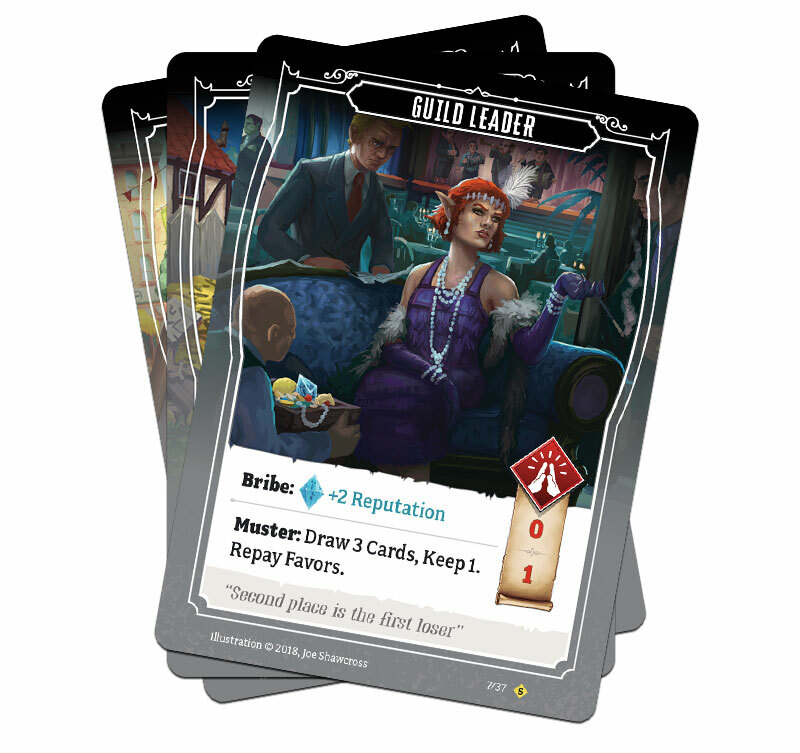 A light deck building mechanic enables you to acquire and improve your black market goods, add agents, add racketeers, disrupt your rivals’ operations or just wreak havoc. 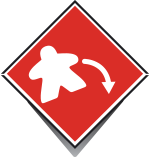 Cards are added to your deck through a simple snake draft from a diverse selection of recruits. 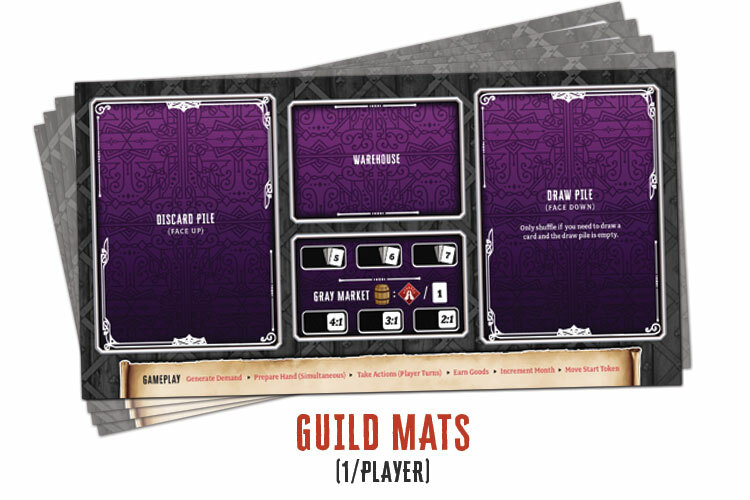 Your guild gains reputation (VPs) as a sophisticated, yet simply implemented supply and demand mechanic helps you sell your black market goods to merchants. At the end of the game you will score additional reputation based on the strength of your network of agents and racketeers. All this growth comes at a cost, you must take favors as you try to build your operation without the benefit of any gold in your coffers. As they say “paybacks are hell”. Fail to payback your favors and you pay the price as you see your reputation diminished at the end of the game. 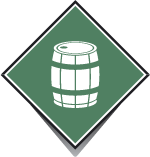 Increase your guild reputation placing agents and racketeers. 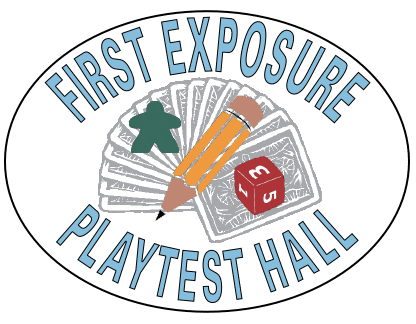 Create a powerful guild through drafting and deck building. Placement of agents and racketeers. 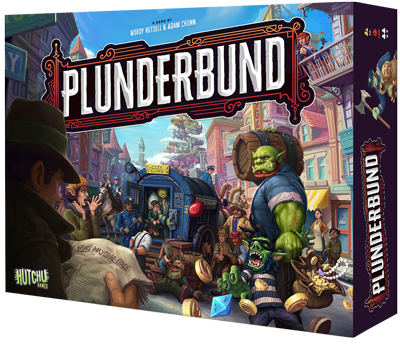 Plunderbund combines the innate corruption and profiteering of prohibition Chicago and the lawlessness of the fantasy setting, the Sprawl. 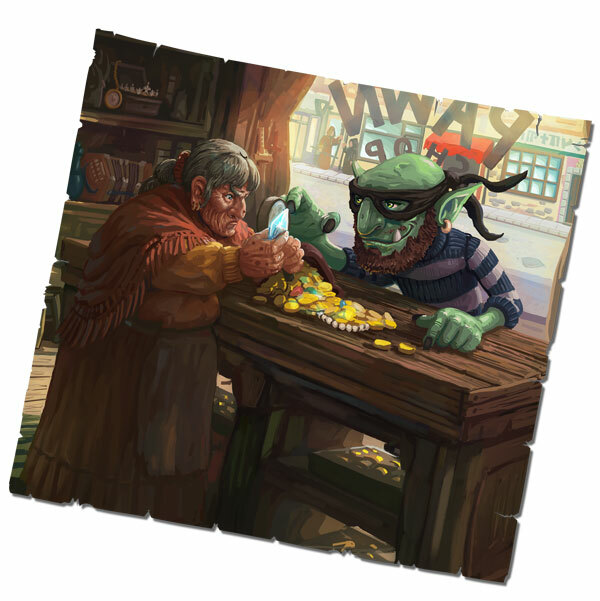 It’s an era before cell phones, e-commerce and customer relationship management tools, an honest guild had to get business the hard way: thieving, sorcery, money laundering and bribery. Plunderbund is your chance to lead your guild to fame, fortune or disaster as you navigate the whims of the notoriously picky Sprawl consumer and deal with underhanded tactics from rivals determined to steal your business. Demand is stimulated as your black market goods evolve. Goods supply is generated as your quality improves and your supply chain becomes more efficient. The simulation brings real world emerging market behaviors to Plunderbund. Every competition has a definitive outcome. There are no ties. 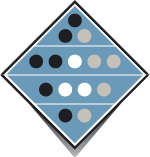 Each competition tracker identifies a leader for every competitive scenario whether one player or five are competing. The one answer system enables faster gameplay. Want to play an agent or engage the city guard to get rid of loiterers, take a favor. Some actions require no favors. The favors are immediately repaid when they come back into play. The favor economy exacts an opportunity cost without excessive deck clogging. Recruits go to the top of the draw pile so you know what’s coming in your next draw. 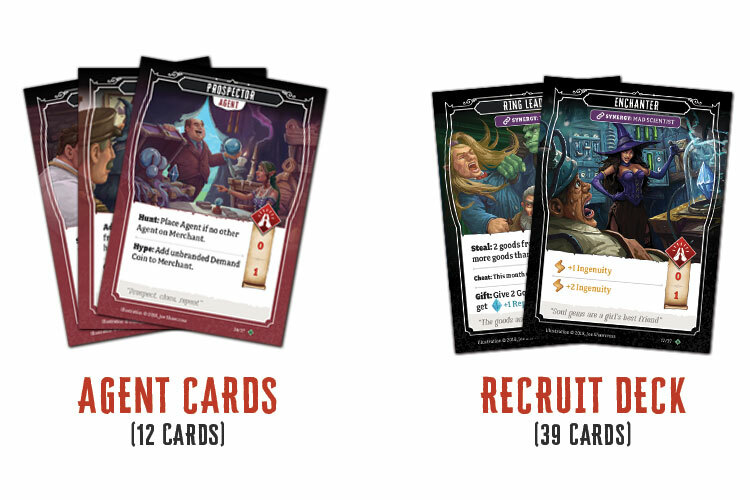 All recruits have multiple options so you aren’t left with unusable cards in your hand. 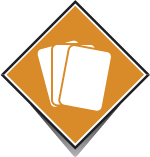 Player friendly deck building enhances the Plunderbund experience. 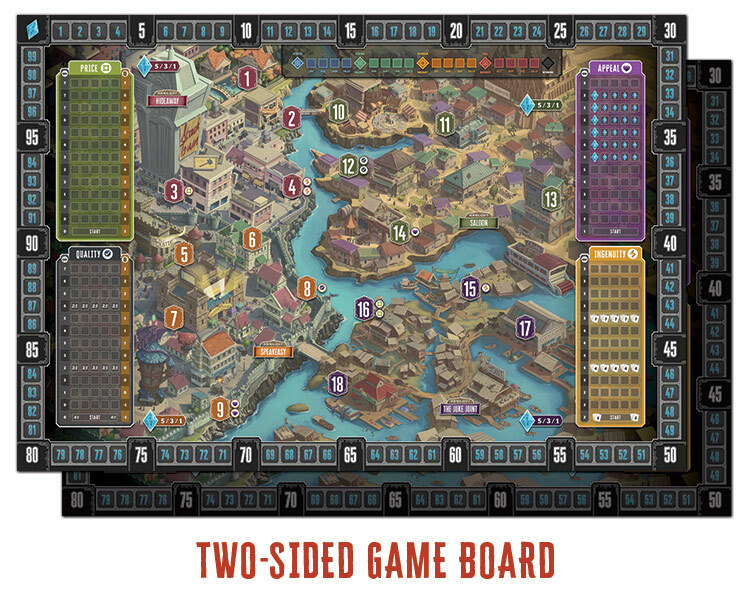 Plunderbund is about competition, getting your guild in position to increase its reputation by winning black market business. There are a limited, but impactful, number of ways to actually engage in conflict with rivals.